Our olive oil ISUL, selected for a cooking Master Class with Cod, in Bilbao Maritime Museum (Bilbao). Master class of GASTROLOPITHEKUS, where, between other things, they tried to put in value, the importance of the election of a very good Extra virgin olive oil, in the elaboration of Pil Pil sauce, one of the top sauces in the Basque cuisine. 1-All benefits for your health, which you can find in an extra virgin olive oil . 2-A unique aroma and taste, qualified through the prizes we have won with our extra virgin, organic olive oil. 3-The total absence of harmful chemical residues in our organic extra virgin olive oil due to methods practiced in organic agriculture on our olive grove. Conventional farming abuses the use of fertilizers and pesticides, which are made of artificial chemicals. The farmers seem to have reduced costs but they are not aware of the residues accumulating in the ground, in the water and in the air as a result of using fertilizers, which decline the environmental balance and burden our nature. Our olive grove is cultivated trough methods of organic agriculture based on regulations, which are regulated by the European Union, that determine the elimination of chemical pesticides and fertilizers and request their substitution with natural resources. Herbicides: We don’t use them. There is a plant cover on the whole ground surface that we mow regularly. We mix up the cut plant remains with the soil to fertilize it, as they contain natural nutrients. Pesticides and fertilizers: They are made of natural products and have to pass all the necessary tests required by the strict regulations of the European Union. For us it is important to mention again, that we practice organic farming. Our goal is to keep the natural balance on our olive grove and to reduce the use of the conventionally, authorized products as much as possible. To give you an example, the fight against an insect called bark beetle! After pruning the olive tree’s branches, we distribute them bundled all over the olive grove. As the insect prefers to infest weak branches for its nutrition and an easier reproduction process, it leaves the olive tree to transfer to the bundled branches, which subsequently decay and become weaker until they dry out. This is the moment when we collect all the bundles to burn them. Doing this we are able to control the insect infestation without using any conventional pesticides. The methods of organic farming on our olive grove reduce the yield of olives in kilogram and per olive tree. For this reason the production costs arise, but in the fruit there are absolutely no residues that could affect the consumer’s health. It is important to understand that the organic farming reduces the risk of polluting the groundwater, air and different layers of soil with nitrates and other residues affecting the environmental balance, which is of vital importance for our health. These kind of organic olives are made in our olive mill whereby we respect the environment that guides us throughout the development of all our activities. For instance, we try to reduce the water consumption to a minimum. Fortunately the interest for environmentally friendly practices is going up and represents a growing concern for the conservation of our environment, to which we owe so much on one hand, but still damage on the other hand. 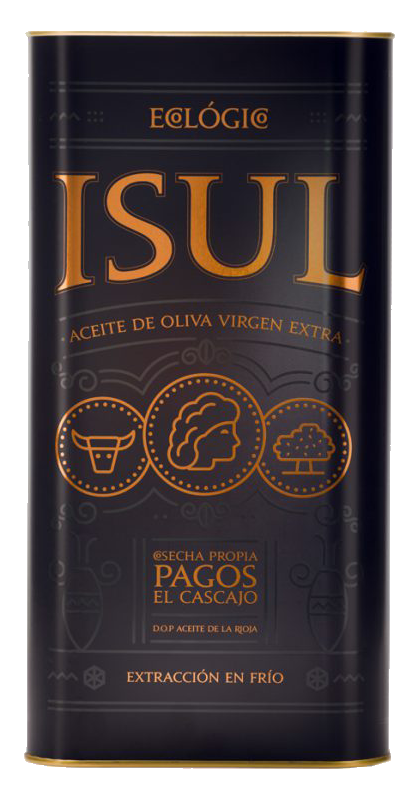 Our brand Isul combine the best of an organic olive oil and an extra virgin olive oil in only one product. with the values you could find inside an olive fruit. – We achieve excellent test result, certificated through prizes, every year. the olive oil competition Ecoliva-Jaén in the year 2000.
of Spain) and through the processing methods. – Cultivating the variety Arbequina, this is valued for its excellent taste. -The importance of the product, as it is vital in the Mediterranean cuisine. perfect combination of preferred aroma and taste. Visit our olive grove and olive oil mill of Malene with two lady friends.